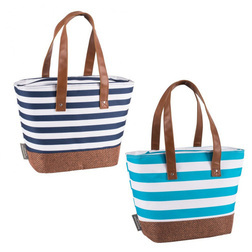 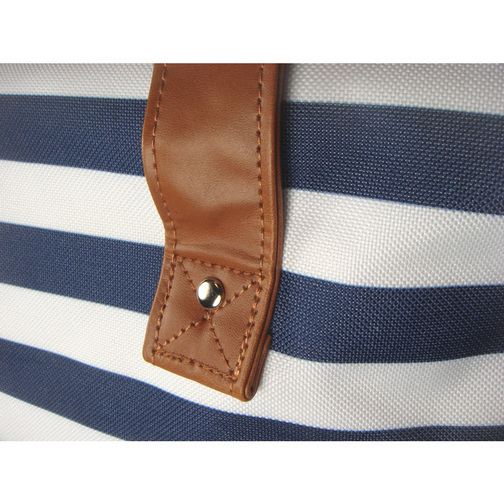 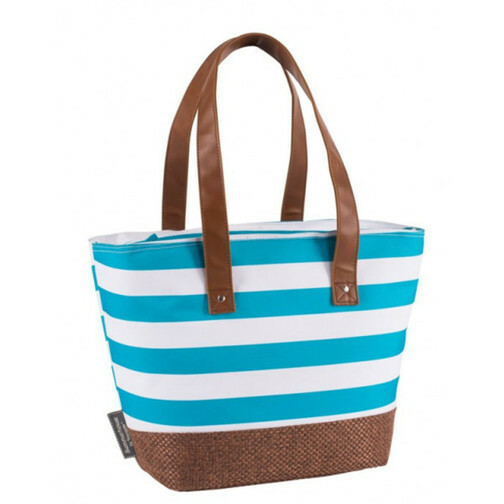 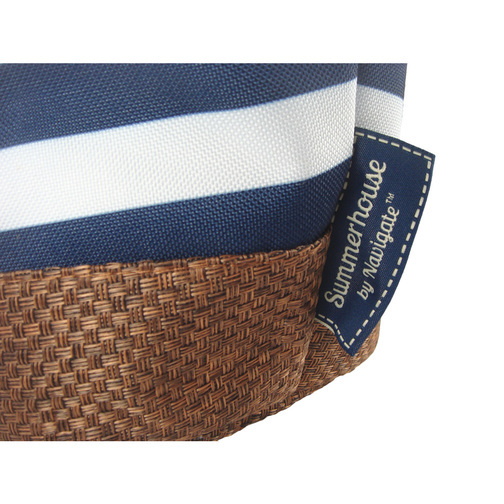 Nautical blue and white stripe tote cool bag with top load & zip, leather look handles and Hessian style base offering 15 litres of insulated storage for food and drinks. 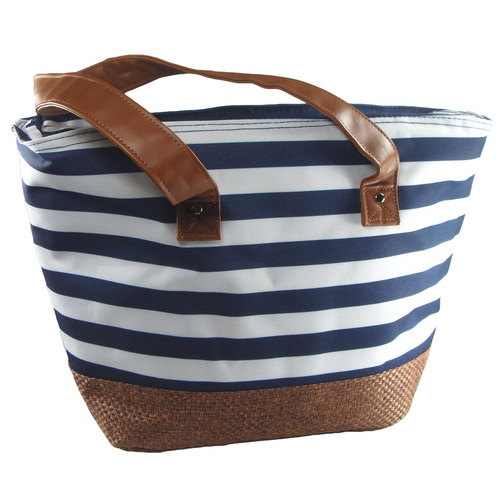 Whether your on a picnic in the countryside or sailing on your boat this cool bag tote offers a nautical themed accessory for your day out. 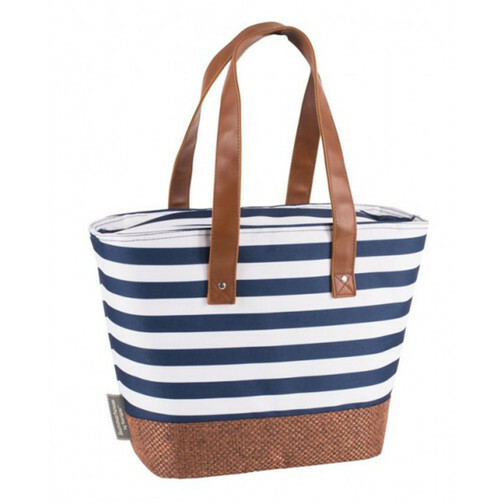 Weighing just 420 grams and providing 15 litres of insulated capacity this boating cool bag is ideal for lunching out.